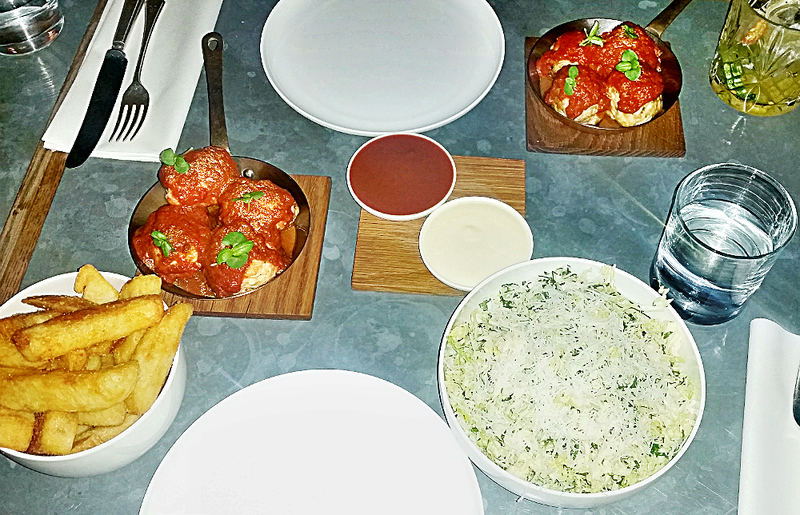 Balls and Co is a casual restaurant in Soho that rustle up some gourmet meat balls. The meat balls are a hearty size and you choose your sauce and sides. drinks in the bar below called.. the company below. Both mocktails were delicious, flavoursome and refreshing. We went for the ligonberry thyme and passionfruit punch. Ligonberry thyme is made with ligonberry, thyme, lime and cranberry. Whilst the passionfruit punch is a mix of passionfruit, grapefruit orange and mint. The meatballs at balls and company were tender and mild in flavour. Whilst the tomato sauce tasted fresh. We enjoyed the balls and co chicken and salmon meatballs with a simple tomato sauce. However, there are also options like pesto or a creamy bechemel sauce available at balls and company. For sides at balls and co we ordered a house salad and thick cut chips. Our food was pretty decent, but sadly not that memorable. Certainly nothing we need to rush back to balls and company for. For balls and co dessert I had a chocolate brownie with fairy floss. It's such a photo worthy dessert and it doesn't taste half bad either. The balls and company chocolate brownie is warm with a scoop of vanilla ice cream on top and fancy looking fairy floss to top it all off. 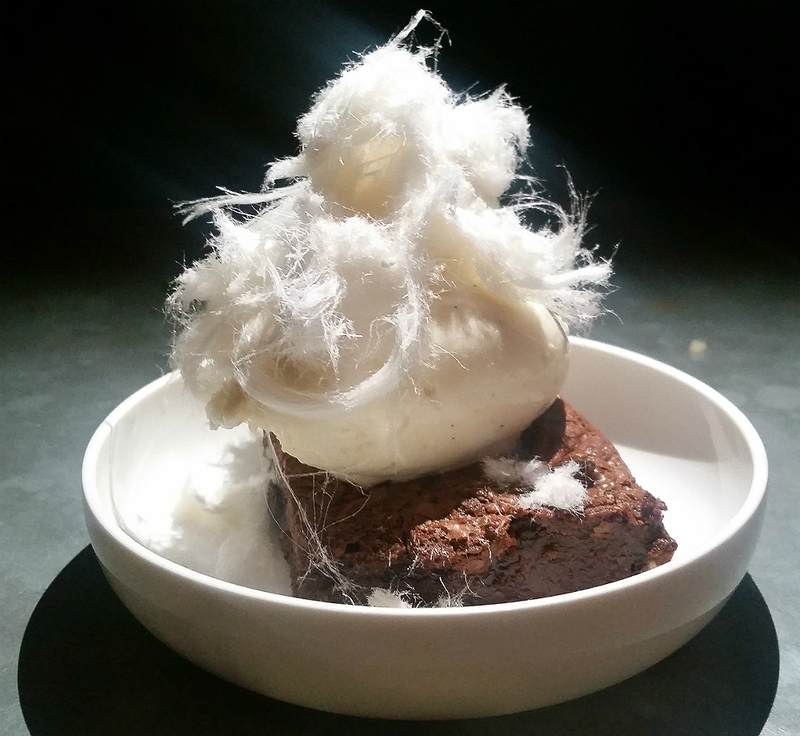 The fancy looking chocolate brownie with fairy floss at balls and co.
Found this Balls And Company restaurant review useful? Subscribe to www.gonesunwhere.com for more travel tips and tips on what to eat in London.